Dulquer's KKK: Uriyadi Team Is Back! Kannum Kannum Kollaiyadithaal is an upcoming romantic comedy starring Dulquer Salmaan and Ritu Varma in lead roles. Directed by Desingh Periyasamy and bank rolled by AJ Film Company Anto Joseph. Shoot is fully over and post-production work is going on. 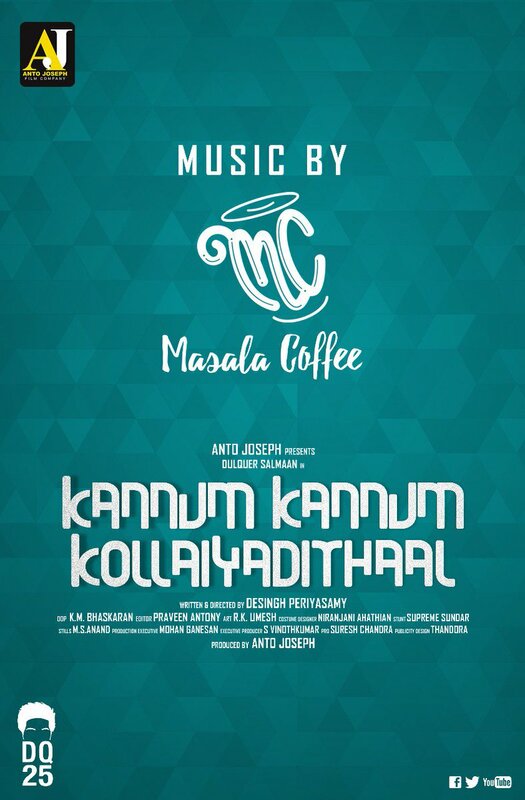 Latest announcement from the team is that, Masala Coffee band is composing music for the movie. They have previously done Vijay Kumar’s Uriyadi, which turned out to have a very impressive album.